The rise of the ‘A-word’ in modern buying is causing alarm among sellers. The word is of course Auctions, or to be more precise Reverse Auctions. In this insight we will examine the rise in reverse auctions and assess the implications for your business. Some people get excited about the rise of the ‘A-word’ in everyday communication. They see it as crude and perhaps even indicative decline in society. But in the sales community, there is an ‘A-word’ that is causing even greater upset. The ‘A-word’ in selling is Auctions, or to be more precise Reverse Auctions. The word ‘reverse’ says it all, for many sellers it is a reversal of roles as well a backward step for their industry. In procurement ‘A’ (as in auction) comes after ‘C’ as in commoditization. For many the rise of the reverse auction marks the demise of competitive sales and marketing. It replaces the sales cycle with a show down on price. It threatens to rob the seller of all his, or her much prized sources of competitive advantage; brand name, product quality, innovation, industry reputation, and so on. The problem is that ‘A’ as in auction comes before ‘D’ as in dialogue, or even ‘C’ as in collaboration. 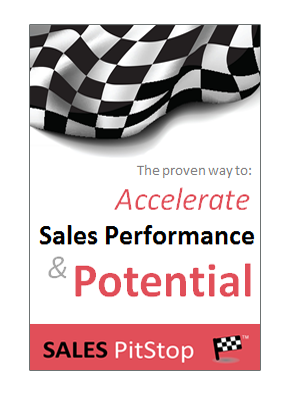 It keeps the salesperson at arms length and sidesteps the consultative or solutions led sales approach. That means the seller may have little opportunity to fully understand much less to shape the buyers requirements. The salespersons role as a source of information, advice or education for the buyer is threatened. Reverse auctions are a factor of life in modern procurement. Quite simply you wouldn’t expect any Fortune 500 organizations and many smaller ones too, not to have reverse auction capacity. The reason is that for the right products or services reverse auctions can deliver savings of anywhere between 25 and 45%. That is important because auctions are ideal for products and services where price matters most. The other advantages for the buyer are that it accelerates the buying cycle and cuts its costs. It also leads to greater procurement transparency and compliance. Are Auctions The #1 Sales Threat? Most sellers never imagined that something like eBay would become their primary sales channel. Yet, some procurement experts have even predicted that reverse auctions could eventually account for half of all goods and services bought. If that is true, it would make auctions the greatest threat facing the sales profession! Could reverse auctions dominate your industry and how would you cope? How do you know if you should be worried about this threat? Well, the reality is that auctions will dominate some sectors while making little inroads to others. To demonstrate the point, type the word ‘house’ into eBay you will find almost 700,000 search results, including books and CDs with house in the title. There are only 33 actual properties and some of those are classified ads as opposed to real live auctions. This is merely to emphasize the point that auctions suit some products or services better than others! Could Auctions Become Your Sales Channel? Limited innovation and differentiation among suppliers/solutions. The risk of reverse auctions replacing your traditional sales channels depends on how many of the above 12 factors apply to what you are selling. What is the risk of any of your Top 10 opportunities moving to a reverse auction? Research shows that eAuctions work for some items, not for others. They are ideally suited for purchases of raw materials, processed goods, travel, printing services, components, and many other items. It is quadrant 1 buying and not suited to quadrant 3. How Do Reverse Auctions Work? The seller is provided with a web link and log-in credientals for a time-based bidding event. The seller can access supporting documentation relating to specifications and terms, including guidelines on how to participate in the auction. Typically sellers can’t see who they are bidding against, or sometimes even the number of bidders, but can see the prevailing price and bid to supply below it. The lowest bid at the time the auction closes is the winner, however the buyer is generally not bound to awarding the contract to the winner and may for example distribute it across more than one bidder. Some systems allow for interaction with the buyer during the bidding process and for more 3 dimensional bidding (e.g. we will supply for 99c per kilo, but on the basis of 21 days rather than 18 days delivery cycles). Reverse English E-Auction – suppliers typically submit decreasing price bids until the bidding ends. Multi-directional E-Auction – the supplier bids downward on certain items and upward on others. Reverse Clock E-Auction (Also Referred to as Japanese and Dutch) – the buyer moves the price down in stages and suppliers either opt in, or out. How will you respond to a prospect that tells you a reverse auction is planned? These are just some of the auction formats, with auction solution vendors offering many others. Anybody who has ever used eBay either as a buyer or seller can set up and run a reverse auction. That is thanks to a wide array of software solutions, many of them offering a cloud-based, pay-as-you-go service. Reverse auctions work best when price is the key point of negotiation for the buying organization. Indeed, it is often argued that it is difficult to reconcile award decisions based on lowest price with non-price factors, such as; service levels, supply capacity, terms and delivery. However, rarely is price the only factor considered and suppliers asked to participate are typically screened in respect of meeting certain pre-qualifying criteria. There is of course the more sceptical view of how auctions work. As one sales manager put it ‘you log in at a specific time and watch your margin disappear, particularly if you or one of our competitors is irrationally determined to get or keep the customer, or to keep a plant busy.’ The cynical view of auctions is popular among sellers, some will even recount rumours of zombie suppliers bidding so as to quicken the downward pace of bids. The guidelines for buyers on when/when not to use auctions are pretty clear. However that every year buyers are pushing the boundaries in terms of the areas to which auctions can be applied. Should your customers really be using auctions? Based on their past success with auctions many buyers are confident perhaps even brash in the application of the technique to areas which would never have been considered auctions territory – including capital goods, advertising services and engineering projects! Reverse auctions won’t always deliver the best deal for the buyer, or the greatest competition. Buyers are advised that reverse auction are just one tool in the buyer’s arsenal and that success is about using the right tool for the right job. That depends on the right procurement category strategy being in place. What is motivating your buyer in the use of a reverse auction? Is the use of a reverse auction consistent with what the buyer wants to achieve? Is the use of an auction the right approach for the category in question? How much confidence and experience has the buyer of e-auctions? These are important factors to consider in pre-qualifying the sales opportunity and deciding to participate in a reverse auction. If you don’t believe reverse auctions are the way either to buy or sell your solutions then decline to participate. 2. Take stock of your industry’s evolution. For many sellers their exposure to reverse auctions is a reflection of their product value chain and product life cycle. The use of auctions is in particular an indication of commoditization and product maturity. The solution to commoditization is differentiation and innovation and educating the buyer to the fact that these two things matter. 3. Show the buyer a better way. The seller must deminatrate how the buyer can achieve better results through another procurement strategy, namely collaboration, more creative solution definition and so on. Cost is the main motivation for the use of reverse auctions. For sellers who are reluctant auction candidates, addressing this issue directly is key. 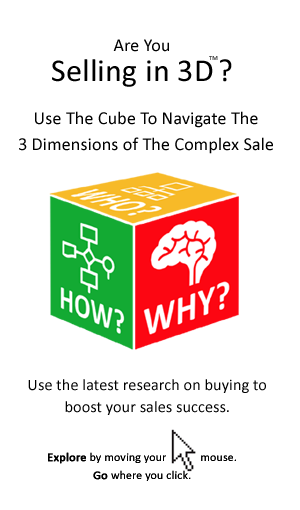 The seller must show the buyer the business case for going the traditional route and focus the buyer on the costs benefits rationale for the decision to choose their products or solutions. In addition he/she must show the buyer that price is not the number one issue and broaden the debate to the total value equation, the results the buyer wants to achieve and the total cost of ownership. In the seller’s manual on how to prevent an auction are the headings of – risk, complexity, strategy, politics, compliance. These are issues that the seller must also address. A key advantage of reverse auctions is the time and cost savings associated with accelerated and simplified buying processes. Indeed it collapses parts of the buying process into a single time bound bidding event. To nullify some of these benefits, sellers should identify ways to help buyers reduce time and cost of traditional approach to procurement of your solutions. 4. Seek to engage the buyer. Take full advantage of any opportunities for communication with the buyer, particularly in advance of the auction (when the buyer is likely to be more open). Use this as an opportunity to shape the buyers requirements, to draw the buyer’s attention to non-price related variables and to the factors that influence the Total Cost Of Ownership. 5. Study carefully the buyer’s requirements and specification. The specifications may have been provided by an incumbent competitors so it makes sense to chellenge the specificaitons. Is there any ambiguity in what the buyer wants? Could competing suppliers interpret the requirements differently and in particular in a manner that would enable them to bid at a lower cost? Find out about all the factors in the buyer’s decision. That sounds redundant if you see the reverse auction as being purely focused on price. However, the lowest may not win. What has the buyer overlooked, what information might the buyer be missing? What risks may the buyer be overlooking? The information and documentation provided by the buyer may not be the full story. 6. Ask good questions. Use any opportunity you have to dig beneath the surface and to draw out the buyer. Are you open to suggestions in terms of alternative specifications/components/ingredients, delivery schedules, tolerances/standards/quality levels, etc? Are you open to extending contract duration, or volumes in order to facilitate improved bids? What is the likelihood of changes to volumes, requirements/specifications, product design, standards, or specifications, quality standards, delivery/stock holding requirements, or any thing else in the next 12 to 24 months. 7. Prepare thoroughly for the auction. Decide how low you can or will go and know your margins. Decide what increments you will use to bid, for example in 10,000, 1,000s or 500s. Learn as much as you can about the company, the buying decision and the suppliers likely to be involved in the bid process. Log in well in advance to access documentation, resource pages and familiarize yourself with the auction process and the software. 8. Make sure you understand the format of the auction. For example is it English, Dutch, Japanese or some other type of auction? Is it one directional (downward, or upward) or multi-directional? If the auction uses a particular platform or provider, then visit the resource pages of the vendors site. 9. Don’t do the bidding alone. Teamwork is important. Resist acting on impulse. Don’t get carried away. Be cautious and considered. Pace yourself, but be aware that leaving bids till the last minute won’t work, there is generally a response period if even you bid in the final moments of the auction. Involve your suppliers in the process, by involving them you are asking them to play their role in helping you to compete. 10. It is all about the fine print. Regardless of the process of interaction between buyer and seller one thing remains constant – you get what you pay for. Some bidders will use less quality materials, or extend deadlines just to make it possible for them to place a more competitive bid even though the final bill may end up being much higher. Share your views on Reverse Auctions and strategies that you have found effective in dealing with them.